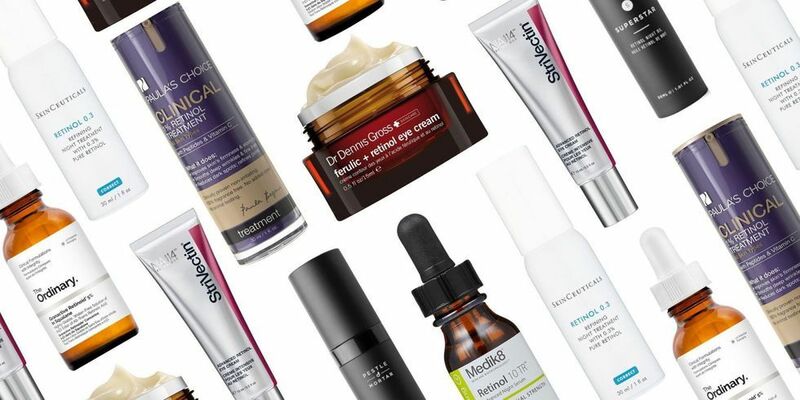 We have all heard about Retinoids; a popular skincare ingredient with wrinkle-busting promises that helps target other skincare concerns you might have (think acne, hyperpigmentation, uneven texture and tone). Retinoids simply put, is pure Vitamin A. It includes both naturally occurring compounds with vitamin A activity (such as retinaldehyde and all-trans retinoic acid, tretinoin) and synthetic analogs of retinoic acid. You can think of it like a family — Retinoid is the last name: Brent. 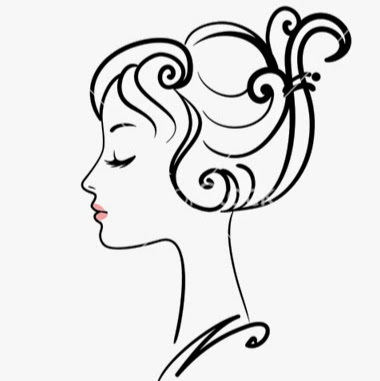 Retin-A is John Brent and retinol is Jane Brent. They are related to one another and share the same DNA in terms of action, but are selected based on their effectiveness and degree of activity. In the pharmacy, you may have noticed how we have different topical retinoids including tretinoin (all-trans-retinoic acid), isotretinoin, adapalene, and tazarotene (acetylenic retinoid). Also, retinol can be purchased over the counter, while retinoids are mainly prescription-only. Of all the retinoids, only retinoic acid has a direct biological effect on the skin. All the other forms of retinoids need to be converted by skin enzymes into retinoic acid before the skin is able to use it. 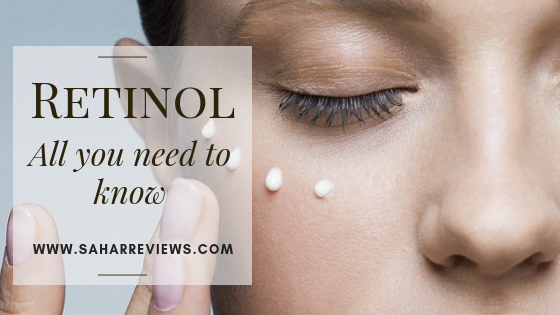 In fact, retinoic acid (Tretinoin) is the active ingredient present in both Retin-A and Renova, the two potent topical preparations of retinoid. Unfortunately, topical retinoic acid often causes pronounced skin irritation, excessive peeling, redness and photosensitivity which may limit its use. Retinoids cause thinning of the stratum corneum, which leads to a smoother skin texture and allows for better penetration of other topical agents. Initially, it causes thickening of the epidermis to improve the moisture barrier, although over time, the epidermal thickness decreases to baseline. Keep in mind that all of these benefits will only occur after prolonged regular use, which can be challenging, especially in the first few weeks. It is preferable not to use them in pregnant women, although a pregnancy test is only medically compulsory for tazarotene. Only isotretinoin (Roaccutane) is currently available as capsules. It acts on all the factors of acne and offers long remissions, but again, its use should be restricted to those with severe or cystic acne, monitored under a dermatologist’s supervision. Precautions must be taken for women of childbearing age due to its risk for teratogenicity. I recommend finding a product that uses a liposomal delivery system to facilitate transport of the active ingredient to the cell. The encapsulation prevents retinol from becoming oxidised, while also facilitating a controlled release through your skin. Initiating retinol to your skincare routine is frequently associated with retinoid dermatitis, characterized by redness (erythema), itching (pruritis), dry skin with a slight burning sensation. The severity of retinoid dermatitis depends on skin sensitivity, concentration and formulation of retinoic acid, and frequency of application. Retinoic acid is hydrophobic by nature, with minimal penetration through the stratum corneum layer of the epidermis. As the retinoic acid is trapped in the stratum corneum, it gradually induces irritation and inflammation associated with retinoid dermatitis. Start by using retinol (low-strength) once a week and then very gradually build it up. Use a retinol-based product at night (generally after liquid serums, and before moisturiser) and keep the rest of your skincare simple to prevent overloading the skin with active ingredients. If it irritates your skin too much, back off and add moisturizer. When you are using retinol, moisturizers are always a must, it alleviates the symptoms of burning, stinging, and itching significantly. If you are want to use it daily, look for encapsulated retinoid formulations, with a low risk of irritation. To apply retinol over clean, but dry face is recommended. Directly using it over damp face will increase sensitivity. Either way, always wear a sunscreen as the last step in your daytime skincare routine. Also, make sure your sunscreen offers broad coverage (should cover both the UVA and UVB spectrum). What about all the ‘newer’ formulations? The next question would be: if retinoic acid is the main active form of retinoids, then why do cosmetic companies continue to formulate products such as retinol, or its ester forms such as retinyl palmitate and retinyl acetate? 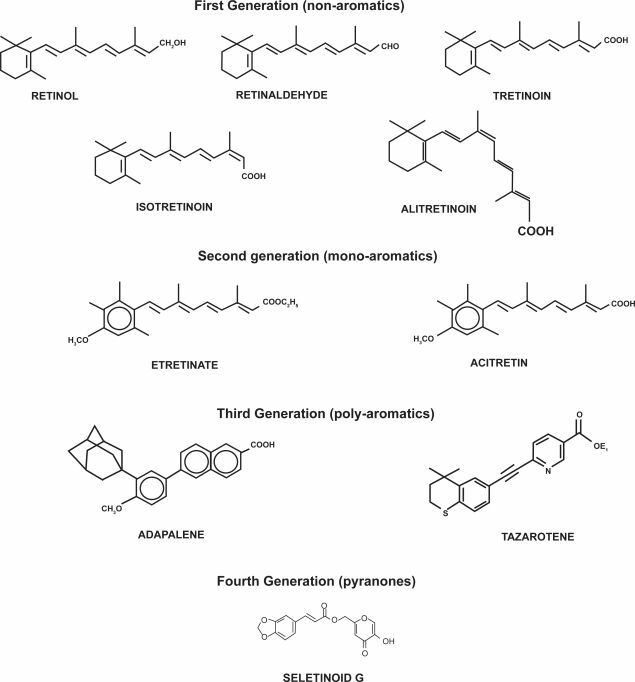 Although retinyl esters did not show significant anti-aging activity, retinyl palmitate is still widely used in cosmetics because of its stability. In line with this, it is important to note that the ester forms are the least effective of the retinoids because they first need to be converted to retinol and then, to retinoic acid. Research has shown that while retinyl esters increase the epidermal thickness in human skin, their results were not as impressive as those of retinoic acid. 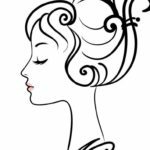 Retinyl Palmitate: The controversial sister? One retinyl ester — retinyl palmitate — is at the heart of a debate with on-going researches and sporadic reports emerging. The problem with retinyl palmitate is that it has to be in high concentrations to make a difference, because it is much weaker than retinoic acid (conversion rate 1:20). Also, as observed, retinyl palmitate appears way down the ingredients list on a product label, suggesting that it may rarely be present in an equivalent retinol-effective doses. At present, the EWG’s Cosmetics Database rates it as a moderate hazard ingredient and suggests it may speed up the development of cancerous skin tumors when exposed to the sun. However, this claim was made based on one study performed on mice, where mice were coated with a cream laced with vitamin A and then exposed to ultraviolet light every day for a year. This brings attention to the need for more conclusive studies (on humans), but if you are concerned with the findings, you can avoid sunscreens and other skin and lip products containing retinyl palmitate and restrict the use of retinol to nighttime only. Cleanse the face with a low-residue cleanser (morning and evening). Follow cleansing with an alcohol- free toner (to prevent drying) and to restore the pH to 5.5. Apply your next products, which are part of your normal routine, keeping in mind to begin with the lightest textures first. So, lightweight boosters, essence or fluid serum products should go before the thicker and creamier moisturizers. Apply daily an 8% to 12% alpha hydroxy acid or your BHA product to exfoliate the skin. Apply an antioxidant, such as topical L-ascorbic acid in a 10% to 20% formulation with a pH less than 3.5 (daily) to function as an oxygen-free radical scavenger, to increase the collagen deposition, and help with hyperpigmentation. Apply 0.025% (titrate it upwards to 0.05%) tretinoin daily to improve skin texture, decrease fine wrinkles, improve hyperpigmentation, increase dermal volume and strength. Apply a sun block covering a broad spectrum of UVA and UVB waves early in the morning and then again, 4 hours later. In general, retinol is considered to be 20 times less potent than retinoic acid, so a 1.0% retinol is equivalent to a 0.05% tretinoin. Which makes, a 10% retinol be equivalent to a 0.5% tretinoin. Duell EA, Kang S, Voorhees JJ. Unoccluded retinol penetrates human skin in vivo more effectively than unoccluded retinyl palmitate or retinoic acid J Invest Dermatol 1997;109:301–309. Leyden J, Stein-Gold L, Weiss J. Why Topical Retinoids Are Mainstay of Therapy for Acne. Dermatol Ther (Heidelb). 2017;7(3):293-304. I was always confused about this. I had no clue so many types existed! So helpful, thanks Sahar. Hi Deepa. Thank you for the kind words. I’m so glad you found this post helpful.